The most common, the most dull of vegetable known to mankind - a brownish, no fixed shape, no particular smell object: Potato. Uses of potato Source: article of International Year of the potato 2008. Once harvested, potatoes are used for a variety of purposes, and not only as a vegetable for cooking at home. 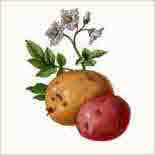 In fact, it is likely that less than 50 percent of potatoes grown worldwide are consumed fresh. The rest are processed into potato food products and food ingredients, fed to cattle, pigs and chickens, processed into starch for industry, and re-used as seed tubers for growing the next season's potato crop. FAO estimates that just over two-thirds of the 320 million tonnes of potatoes produced in 2005 were consumed by people as food, in one form or another. Home-grown or purchased in markets, fresh potatoes are baked, boiled or fried and used in a staggering range of recipes: mashed potatoes, potato pancakes, potato dumplings, twice-baked potatoes, potato soup, potato salad and potatoes au gratin, to name a few. But global consumption of potato as food is shifting from fresh potatoes to added-value, processed food products. One of the main items in that category goes by the unappetizing name of frozen potatoes, but includes most of the french fries ("chips" in the UK) served in restaurants and fast food chains worldwide. 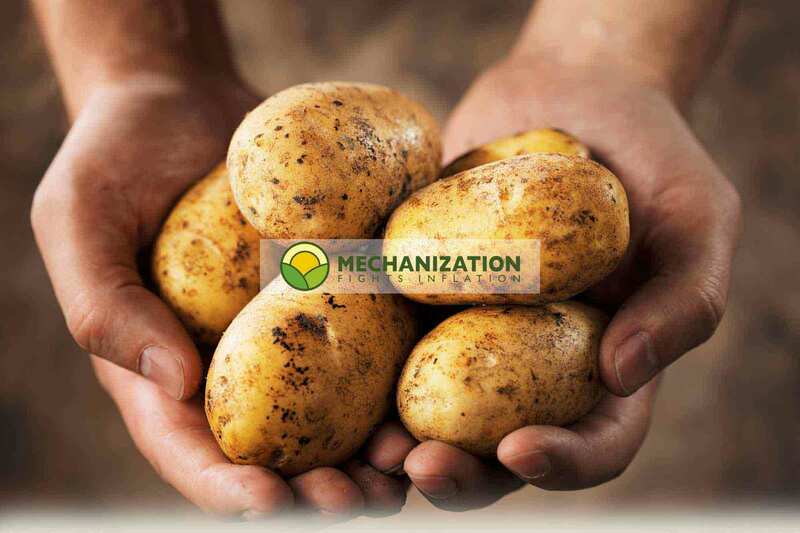 The production process is fairly simple: peeled potatoes are shot through cutting blades, parboiled, air dried, par fried, frozen and packaged. 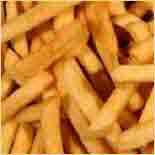 The world's appetite for factory-made french fries has been put at more than 11 million tonnes a year. Crisps or chips. Another processed product, the potato crisp ("chips" in the US), is the long-standing king of snack foods in many developed countries. Made from thin slices of deep-fried or baked potato, they come in a variety of flavours - from simple salted to "gourmet" varieties tasting of roast beef and Thai chili. 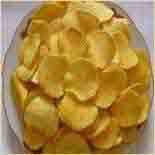 Some crisps are produced using a dough made from dehydrated potato flakes. Dehydrated potato flakes and granules are made by drying a mash of cooked potatoes to a moisture level of 5 to 8 percent. Flakes are used in retail mashed potato products, as ingredients in snacks, and even as food aid: potato flakes have been distributed as part of US international food assistance to more than 600,000 people. 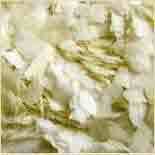 Another dehydrated product, potato flour, is ground from cooked, whole potatoes and retains a distinct potato taste. Gluten-free and rich in starch, potato flour is used by the food industry to bind meat mixtures and thicken gravies and soups. 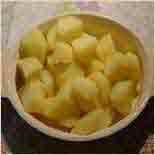 Modern starch processing can retrieve as much as 96 per cent of the starch found in raw potatoes. A fine, tasteless powder with "excellent mouth-feel", potato starch provides higher viscosity than wheat and maize starches, and delivers a more tasty product. 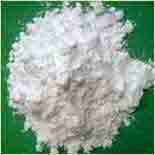 It is used as a thickener for sauces and stews, and as a binding agent in cake mixes, dough, biscuits and ice-cream. Finally, in eastern Europe and Scandinavia, crushed potatoes are heated to convert their starch to fermentable sugars that are used in the distillation of alcoholic beverages such as vodka and akvavit. But ..... 60 Uses So Far found.